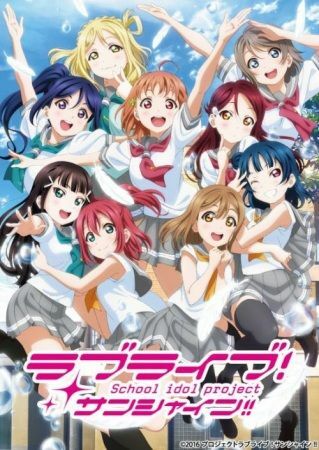 Having decided to walk down a path separate from their inspirations as idols, the girls of Aqours are more determined than ever to shine brilliantly as school idols. With their previous performance marginally increasing the number of prospective students for their endangered school, they look to carry the momentum of their small step forward into the school's upcoming open house and the next Love Live competition. Hoping to use these events to bring more attention to their school, the nine girls look to give their best performances yet. Unfortunately, these small steps forward are not enough to convince Mari Ohara's father from changing his plans. Undeterred by Mari's pleas for reconsideration, the decision to close down the school is made official, putting an end to Uranohoshi Girls' High School's student recruitment, including the open house. Though all hope seems to be lost, the school idols refuse to give up. Faced with impossible odds, Aqours sings, dances, and shines in the hopes of bringing about a miracle.